Nestled between the Ozark and Ouachita mountain ranges, Fort Smith offers a wide range of activities, exhibits, and places to see. Along the Trail of Tears National Historic Trail, you can read the accounts of the Choctaw, Chickasaw, Muscogee (Creek), Cherokee, and Seminole who traveled this way during their forced removal from tribal lands in the Southeast. Established on Christmas Day 1817, the first Fort Smith protected Cherokee Indians relocating into Osage territory in the Arkansas River Valley. In 1824, the Army abandoned the fort, considered the Little Gibraltar on the Arkansas, to establish a fort farther west in the heart of Indian action. 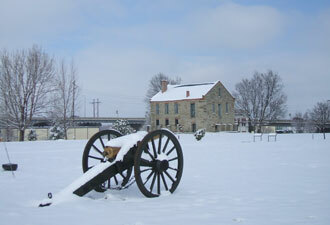 Pressured by local citizens and politicians to provide protection from anticipated Indian attacks, the government built the second Fort Smith in 1836. Although never completely finished, the fort provided supplies and protection to soldiers fighting in the Mexican-American War (1846-1848), prospectors passing through in the California Gold Rush of 1849, and military forts farther west. As a major stop on the Butterfield Trail overland stage, and with steamboats bringing fresh supplies from St. Louis and New Orleans, the town of Fort Smith prospered and grew. 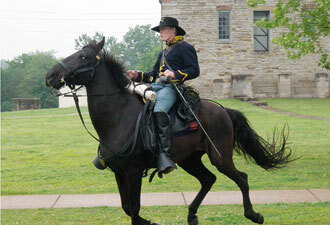 The Fort Smith area also has a lot to offer the Civil War buff. 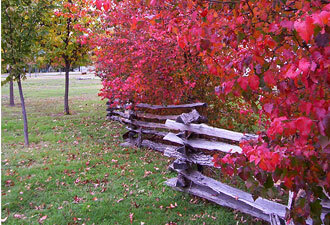 Confederate forces occupied the fort (1861-1863), and it was a staging area for troops sent to fight at Wilson's Creek, Pea Ridge, and Prairie Grove. It was later abandoned to Union forces. Possibly the historic site's most famous period is 1872-1896, when federal Judge Isaac C. Parker presided over one of the heaviest caseloads in U.S. history. Of the 13,000 cases he heard, 160 resulted in sentences of death by hanging — only 79 of those convicted made the final walk to the gallows. Today the gallows stands as a silent reminder of law and order on the edge of Indian Territory.